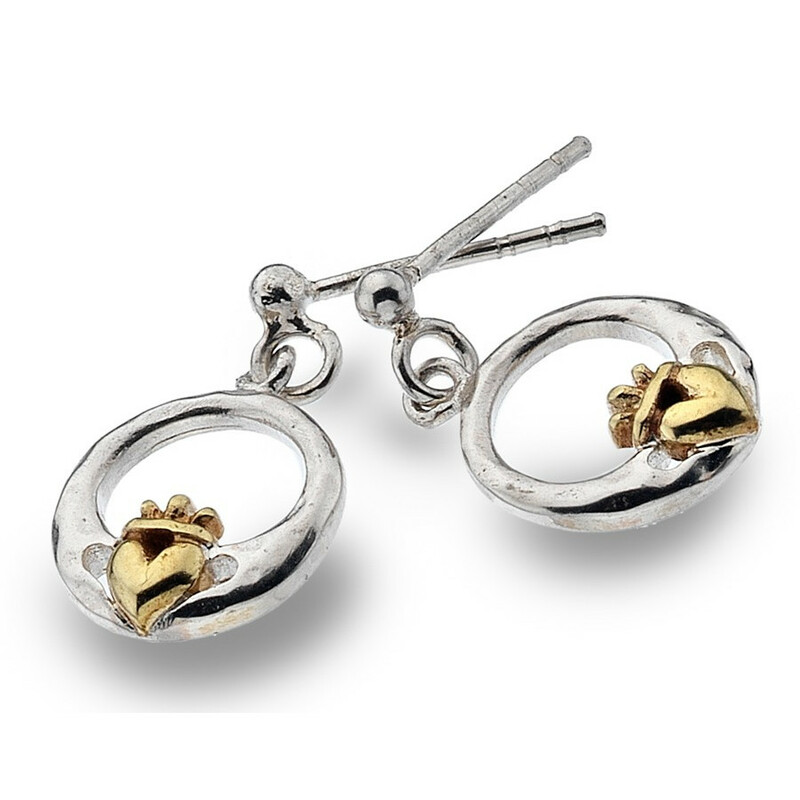 These silver and brass earrings complete the matching necklace, and feature the Claddagh, the traditional Celtic and Irish emblem. These silver and brass earrings complete the matching necklace. The Claddagh is the traditional Celtic and Irish emblem. The crown, heart and two hands represent respectively loyalty, love and friendship. Height: 10mm (without the hooks).